Mat Irvine: Revell has owned most of the old Renwal company’s moulds for decades - actually, since 1976 - and has reissued many of those kits. 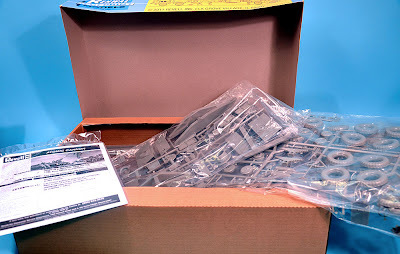 So far, these have been released in Revell boxes, but now, thanks to Product Manager Ed Sexton, the original distinctive Renwal box-art has been reintroduced, including the Renwal brand name. One thing Ed liked about the original art is that Renwal issued military kits in its ‘Blueprint’ series, as the company maintained proudly that such models were designed: “from original blueprints”. To this end, the boxes featured a distinctive blue-grid design. OK, maybe the grid is not a real blueprint, but it still looks good! Bill Lastovich (left) and Ed Sexton of Revell-Monogram. In 2010, Revell reissued the 138-part Renwal 1:32 scale Big Shot self-propelled howitzer, complete with six-man combat crew and working features. 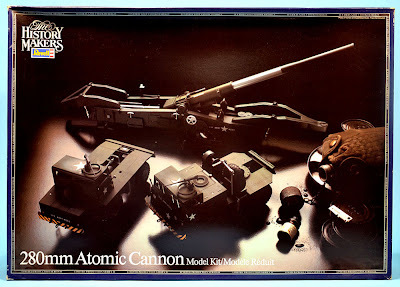 Now it’s the turn of an even bigger kit, the Renwal M65 Atomic Cannon. The original mobile artillery piece was enormous at 25.6 m (84 ft) total length, and the Renwal 1:32 scale kit is equally impressive, at 851 mm (33.5 in) long. 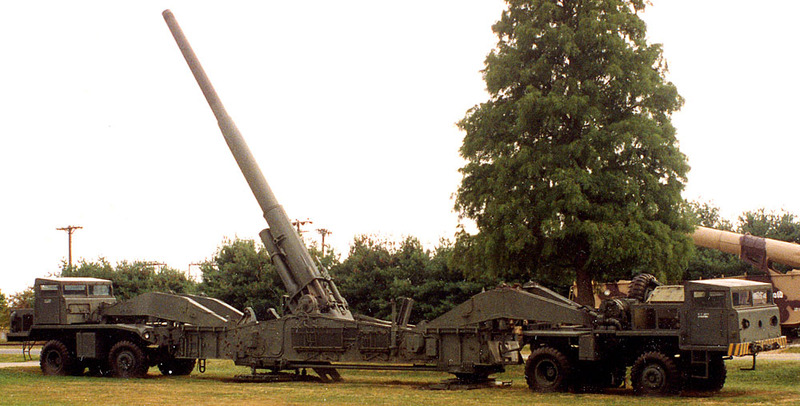 Seven crew are included in the box - a US Army gun crew could deploy the massive weapon in just seven minutes. The reissue moulding colour is light grey, whereas the original was army-issue olive drab, but the parts count is still over 300. You get the cannon, plus the two tractor units, one at each end. 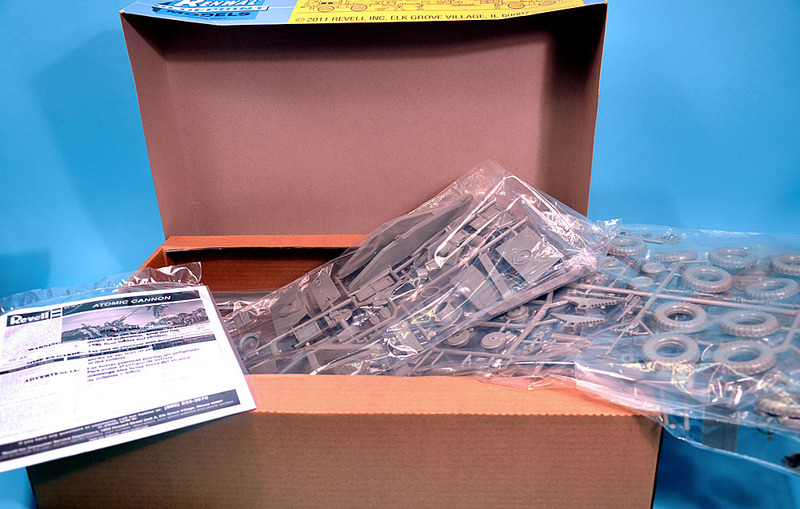 More than 300 components fill the Atomic Cannon's sturdy box. Renwal made great play of the fact that cement join lines were hidden from view - it was termed ‘No Show’ - and as was typical for kits of that period, there many working parts were designed into the kit. The gun itself elevates, recoils, and when placed ‘on the ground’, can be rotated. The tractors come with rotating wheels, and the ability to attach and detach the cannon from cradles. However, these cradles should not stay with the cannon. This was an error made in the early-1980s Revell ‘History Makers’ reissue, where the box photo showed this incorrect scenario. The 1983 History Makers issue shows incorrectly-placed cradles, still attached to the gun. 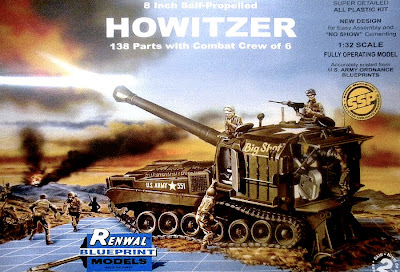 Big Shot howitzer, reissued in 2010. 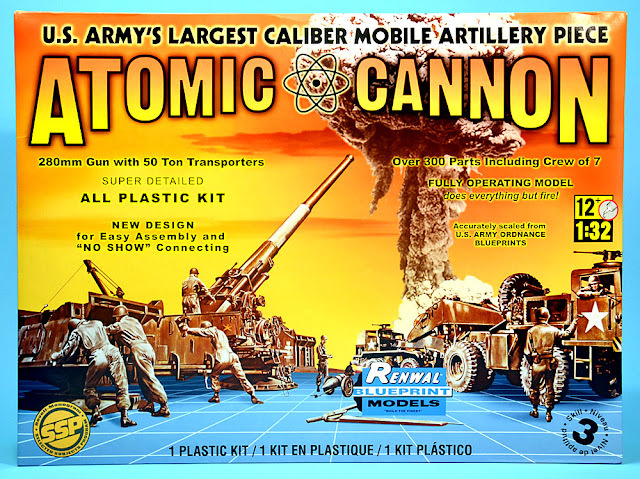 Talking of boxes, unlike that of the Big Shot howitzer, the reissued Atomic Cannon one isn’t identical to the original. Ed Sexton admits he thought the original lettering was a bit understated, so it is now bigger and more distinctive, being set centre-stage on a box that is a different ratio to the original. Big as it is, the Renwal Atomic Cannon is not the largest kit ever made - it isn’t even Renwal’s largest kit (see link below) but it remained supreme in scale military vehicles, really until the 1:35 scale Dora rail gun came along. All in all though, the Revell-Renwal Atomic Cannon is a terrific piece of scale model technology, and should be in every AFV fans collection. 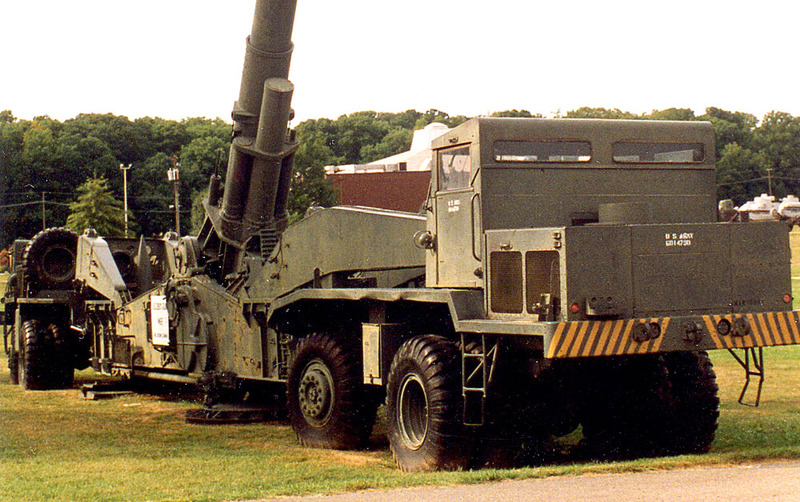 Atomic Cannon on display at the Aberdeen Proving Grounds. The last of the 20-plus M65 Atomic Cannon constructed left military service in 1963, though one was used at the Nevada Test Site on May 25, 1953, the only time the M65 actually fired a nuclear shell, a 15-kiloton device that was lobbed 11 km (7 miles) in a test-firing code-named 'Grable'. Eight M65s still survive, displayed at various US museums, though only the one pictured, at the Aberdeen Proving Grounds, Maryland, still has its tractors attached. Note that this site is currently under review, and at some point the exhibits may be moved to a new museum being created at Fort Lee, Virginia. SMN ‘biggest kit’ article here. 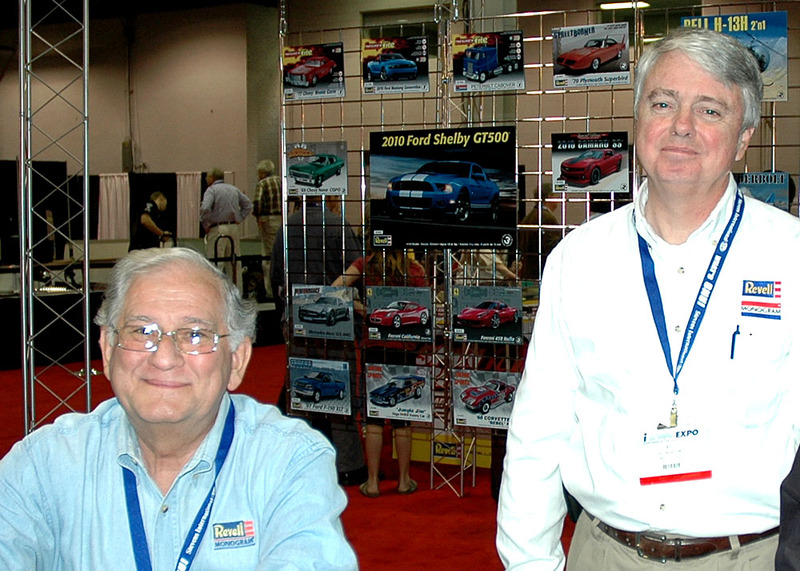 Thanks for information to Ed Sexton and Bill Lastovich at Revell-Monogram LLC.